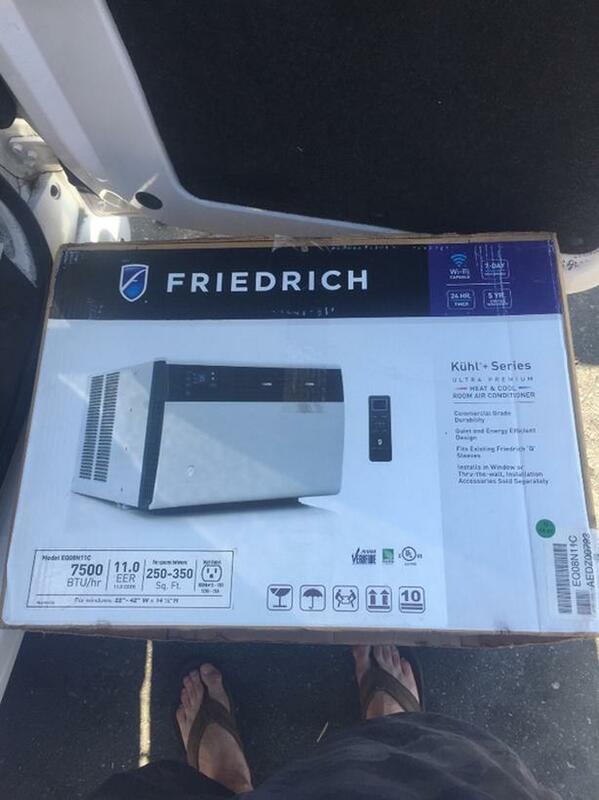  Log In needed $425 · Friedrich Kuhl 8000 btu Air Conditioner w/ electric heat BRAND NEW! This unit was bought on clearance as a scratch and dent. Does not come with box. However is still in original plastic wrap.